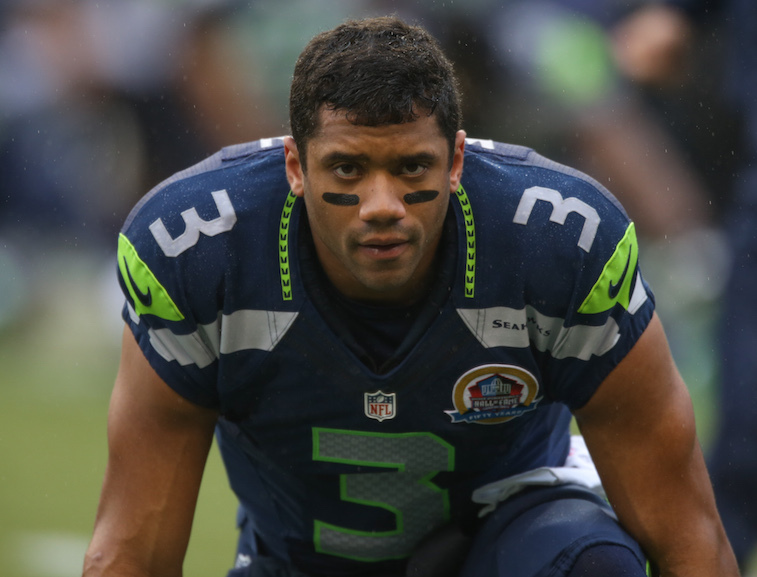 NFL: Would the Seahawks Actually Let Russell Wilson Walk? 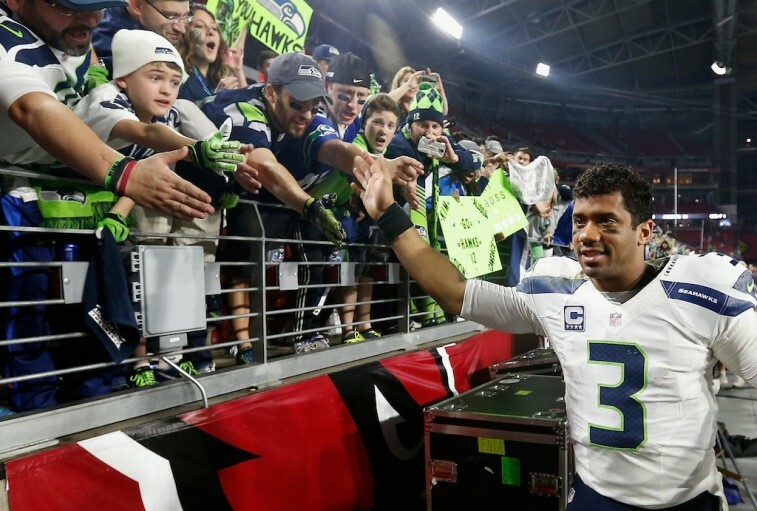 Entering the fourth season of his career, Russell Wilson has already gone above and beyond what anyone was expecting when the Seattle Seahawks selected him with the 75th overall pick in the 2012 NFL Draft. That said, opinion on the signal caller is still divided, even if his ability to make an impact in the NFL is not. If you’re the kind of person who likes their quarterback to have gaudy numbers, Wilson is not your guy. Last season he threw for 3,475 yards, 20 touchdowns, and 7 interceptions while also rushing for 849 yards and 6 touchdowns, hardly the most impressive stats from the 2014 NFL season. If you’re all about the quarterbacks who win — the ones who can remain calm when the decks are stacked against them — then it’s possible that Wilson is exactly who you want in your huddle. The knock on Wilson was always his height — he’s only 5-foot-11. But that doesn’t define him as a quarterback. Wilson is accurate — 63.4% career completion percentage — with a high football IQ. He can extends plays, make everything throw, and can beat you with both his arm or his legs. In his three seasons of play, Wilson has made two Pro Bowls and led the Seahawks to back-to-back Super Bowl appearances (coming away with a win winning in 2013). But there is something else about Wilson: he is potentially the best value-for-money player in the NFL right now. This upcoming 2015 season will mark the final year of Wilson’s four-year rookie contract. Based on his draft position, he is only slated to make roughly $1.54 million this . Considering what the face of the Seahawks been able to accomplish so far in his short career, this isn’t just a bargain, it’s a steal, but it’s one that is about to come to an end. 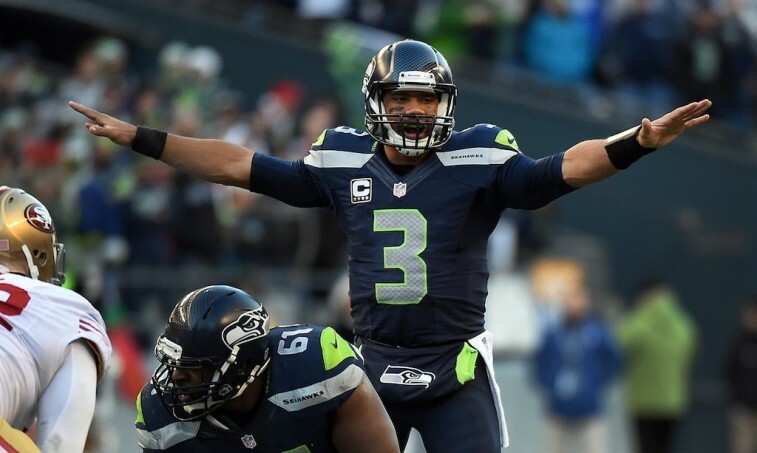 Whether Wilson signs a new deal now or after the season, one thing’s for sure: Number Three is going to get paid. The question is, will the Seahawks be the team signing the check? As first reported by NFL Network’s Ian Rapoport, Wilson’s agent Mark Rodgers sent a 16-page letter to the Seattle Seahawks organization outlining their position on the contract negotiations. A common occurrence in the world of baseball, this sort of thing is largely untrod territory for football. Suffice it to say, though, the two sides are not on the same page. The specific details of the letter are unknown, but if you ask ESPN’s Terry Blount, Rodgers most likely reaffirmed the position he made while speaking with 710 ESPN Seattle radio 10 days ago: that Wilson has no problem playing out his rookie deal and then letting the chips fall where they may. The Seahawks now find themselves in a precarious position. This team now faces a market that saw Miami Dolphins quarterback Ryan Tannehill receive a new six-year, $96 million extension and the Carolina Panthers and Cam Newton agree on a five-year, $103.8 million deal. Neither of these two young quarterbacks are as accomplished as Wilson, but they’re the seventh- and third highest paid players in the NFL. It’s not farfetched to think that Wilson should be making more than Newton, is it? The Seahawks, under general manager John Schneider, have always stressed that “No one is bigger than the team.” But here’s the cold hard truth: for as great as their defense has been, this team would not be where it is today without Russell Wilson. With him under center the past three seasons, the Seahawks have won 36 games and played on the biggest stage the last two seasons. The organization cannot afford to risk its future by letting its a guy like Wilson slip away. If you want to preach that it’s all about the team, that’s fine. However, you better believe other franchises would be willing to give this quarterback the money his deserves. Perhaps it’s time Seattle changes its philosophy to: no one player is bigger than the team — unless it’s a franchise quarterback who’s led us to two Super Bowls and gotten us a Lombardi Trophy. All statistics and salary information are courtesy of Pro-Football-Reference.com and Spotrac.com.